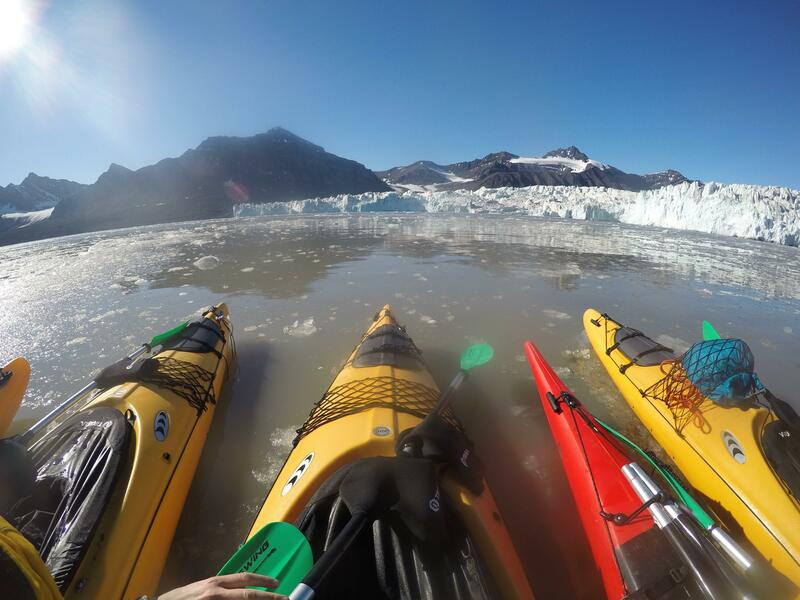 Being in the front of an active glacier is a breathtaking and unforgettable experience. The quiet nature of kayaking will give us an opportunity to observe this diverse ecosystem from a completely different point of view. 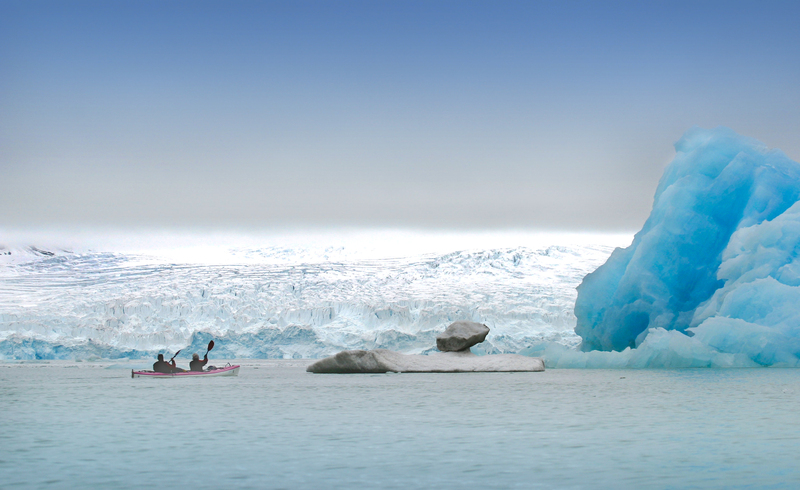 As we paddle through the water, surrounded by icebergs, the picturesque Nansen Glacier is towering above us. 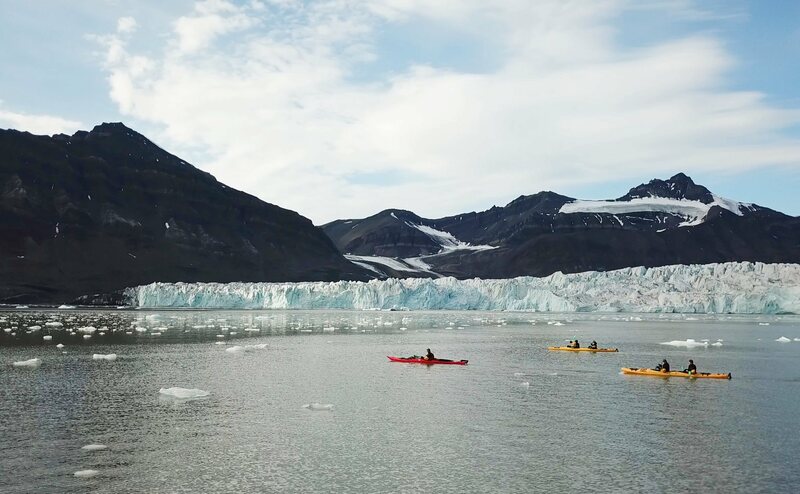 Accompanied by our experienced guides, you will explore one of Svalbard’s most spectacular natural areas in sturdy double kayaks. 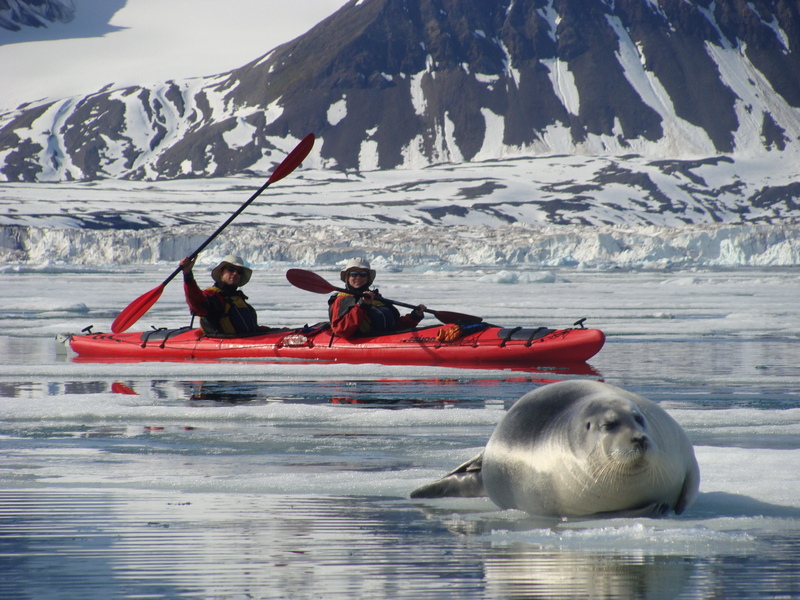 Any kayak experience is not required to join this trip. On this day trip, we will pick you up at your hotel and drive out to our headquarters. Here you will receive all necessary equipment for a day out. This includes a dry suit, therefore you can wear your own clothes underneath.  You can read more about the provided equipment on our practical info page. 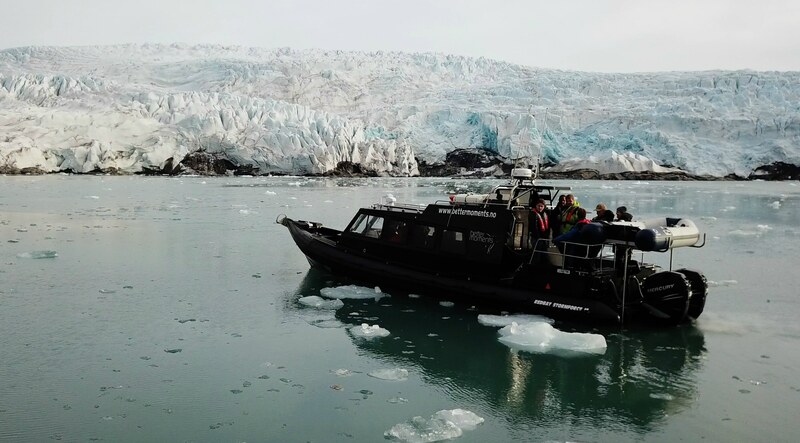 Once we are all set, one of our comfortable, closed RIB boats will take us to the North side of the Isfjord where the kayaks are waiting for us on the beach. 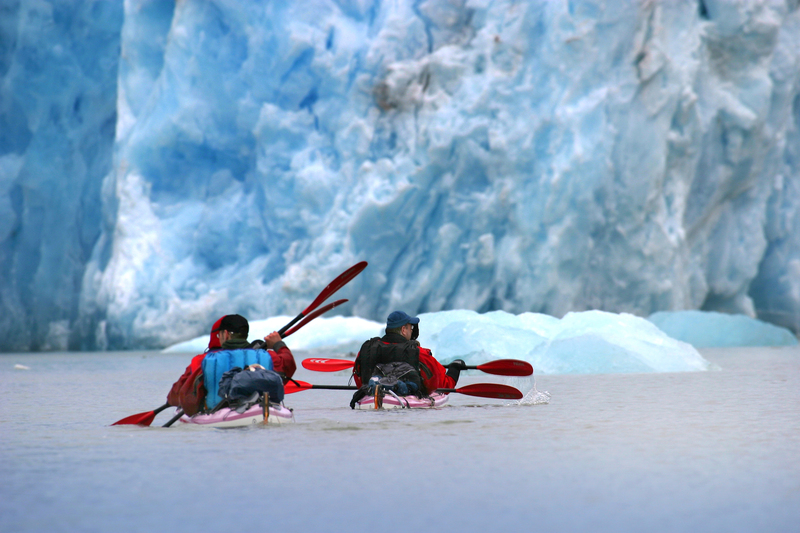 On the way, our guide will brief you on how to safely use the gear and the kayaks. After a one hour crossing, we will arrive at the beach and are ready to go. 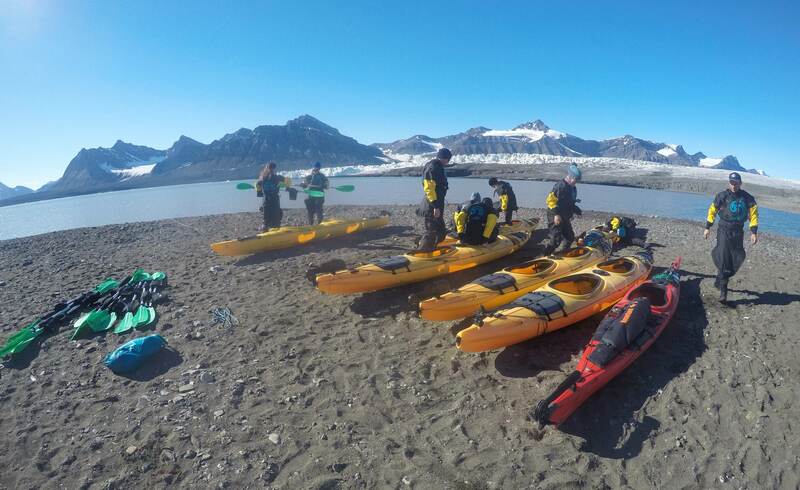 We will explore the bay in front of Nansen glacier and paddle between ice bergs. Our guide will safely lead you through the bay. Take a moment to rest and relax. 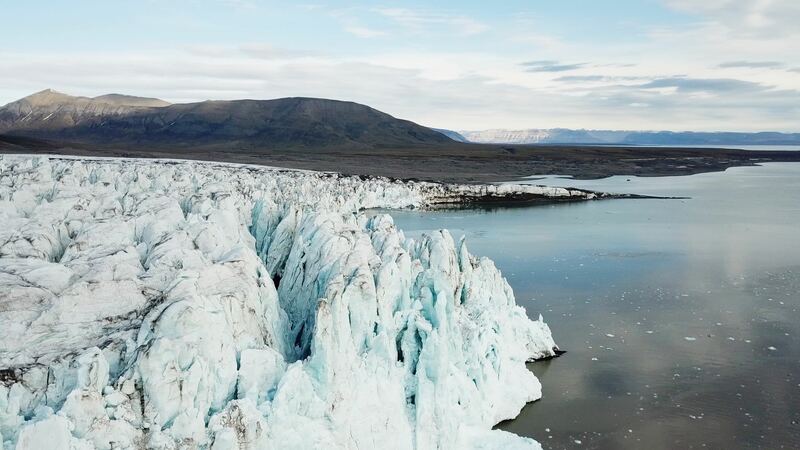 Enjoy the close view of the glacier front and the stunning nature surrounding you. No other activity gets you as close to this majestic natural appearance. The environment around Nansen glacier is diverse and beautiful. Delicate flora struggles against the wind on the peninsula next to the glacier. Birds are all around, chirping and feeding. Sometimes, with a bit of luck, we can spot mammals resting on the ice sheets. 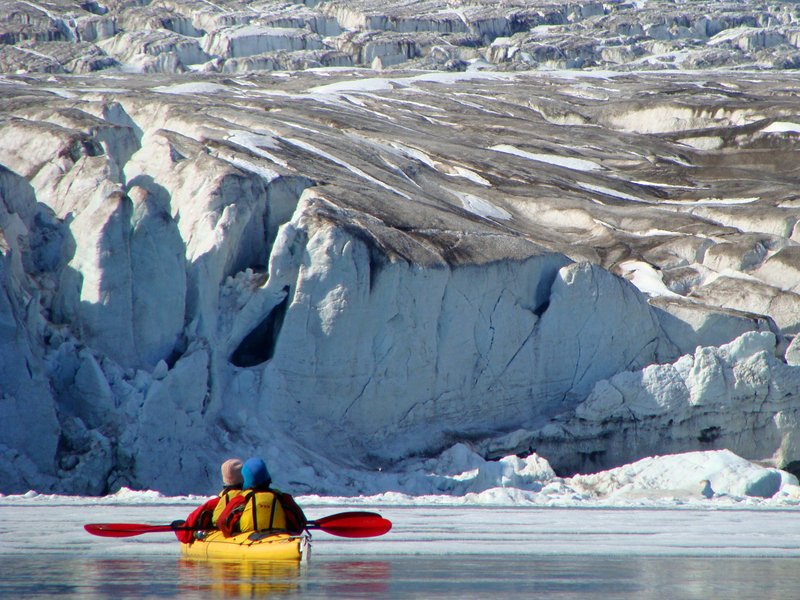 Further, if we are lucky, we get to see the glacier calving – forming new ice bergs for us to explore. After a few hours of paddling through the bay, we head back to our boat. Here, our captain has prepared a hearty, warm lunch for us that we can enjoy on our way back to Longyearbyen. We require a minimum of 4 persons on this trip. Minimum age limit 12 years. Medium physical fitness required, not suitable if you have limited mobility.